"It is with a heavy heart that we share with all of you that Talia has earned her wings at 11:22am." My heart sank. I just couldn't believe this. Talia Castellano, was so full of life. She had such a big, beautiful personality and it's just so sad and shocking to hear that she passed away. I knew that she hadn't been doing so well lately and I became really worried and concerned about her, but personally, I truly thought that she was going to make it. She was such a gorgeous, talented little girl and she was, and will always continue to be a big inspiration to those with and without cancer. She had big dreams and she wouldn't let her illness get in the way of them. She lived each day like it was her last, she lived life to the fullest. That's what I really admire about her. She accomplished so, so much in such little time and at such a young age. She inspired all of us to "Just keep swimming", no matter what happens. When I heard that she was back in the hospital about a week ago, I decided to draw her. It pains me to hear that she is going through so much, and I wanted to do something nice for her. "Dear Talia, I am so so sorry about all the horrible things that you have been going through lately. You are so incredibly strong, brave, creative, inspiring and simply amazing. It really pains me to hear about how much you're hurting at the moment. I can't imagine how it must feel... It makes me so sad... I hope and pray that you will survive your long, hard battle with cancer. As a bone marrow transplant survivor, I wish you the absolute best. Please stay strong. I love you. We all love you and we will all pray for your health. Hope you see this and hope you feel better soon!" Childhood cancer is absolutely horrible and we need to do something about it. Through the documentaries that I've seen recently, there is very little money that goes to the research of this horrible disease. Together, we need to change this. And how do we do this? Well, so many people put so much attention towards other things and I think that if people take even a little bit of time to make an effort to learn more about cancer and how it affects it's victims, that would be a good start. Here's one of the documentaries I've watched. Little Talia is on there as well. If you currently don't have the time to watch this, please, please keep this in mind and watch it later. There are also charities, blood drives, and bone marrow donations out there that you can contribute to. If you can't afford to donate money, or not able to donate blood or bone marrow (like me) then you can at least spread the word and increase the awareness for childhood cancer. 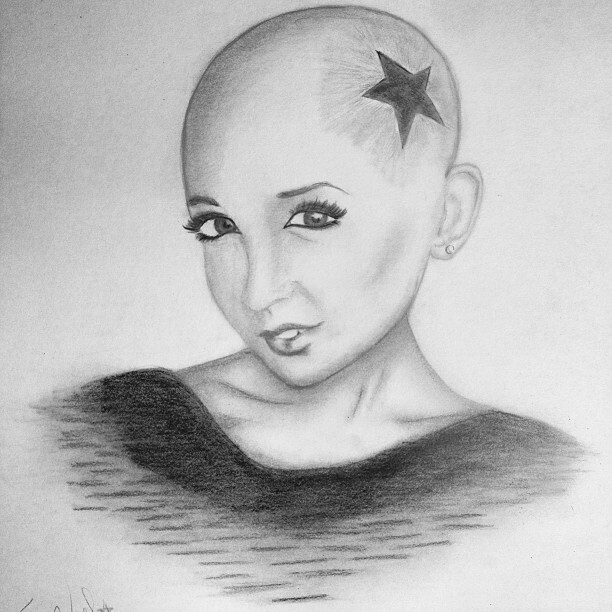 Rest in peace Talia... We love you so much and you will never stop inspiring us. Thank you so much for your wonderful impact in this world.